The midterm elections are over, but the contest for the year's best country songs is just around the corner at the Country Music Association Awards. The two categories, song and single of the year, look similar with three songs nominated in both, but the writers behind the hits say these awards are hard to predict. 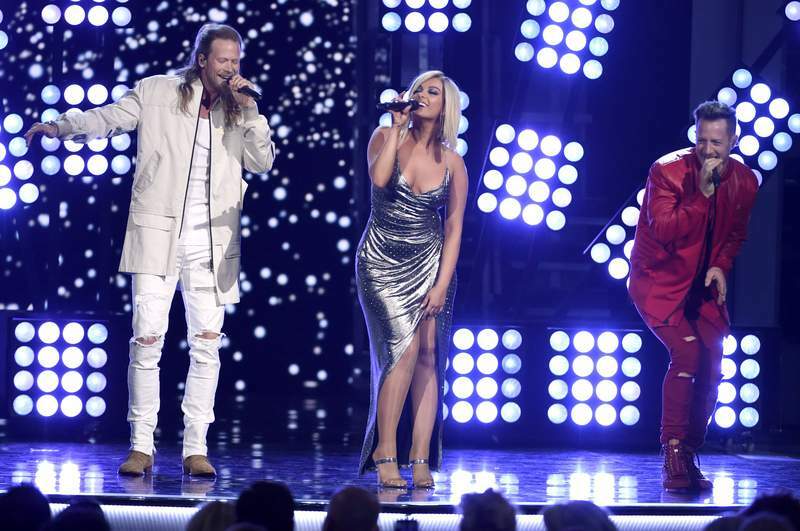 Nominees include Bebe Rexha and Florida Georgia Line's “Meant to Be,” a pop song that became a monster country hit; country songs that went pop like Dan + Shay's “Tequila” and Sam Hunt's “Body Like a Back Road”; a message song for the #MeToo era and of course, drinking songs. Songwriter-producer and nominee Shane McAnally called the song of the year category a five-way race with no clear leader. The CMA Awards will air live on Nov. 14. Bryan Cranston has confirmed that a “Breaking Bad” movie is in development, though he's not sure he's in it. Cranston said he hasn't yet read the script and that his character, Walter White, may not even be in it. Cranston said he would “absolutely” return to the character if he was in it. Gilligan's “Breaking Bad” prequel series “Better Call Saul” last month concluded its fourth season. Among celebrity birthdays today: Actor Charlie Robinson is 73. Actor Robert David Hall is 70. Actor Lou Ferrigno is 67. Singer Donnie McClurkin is 59. Drummer Dee Plakas is 58. Rapper Pepa is 49. Rapper Scarface is 48. Musician Susan Tedeschi is 48. Actor Eric Dane is 46. Singer Nick Lachey is 45. Bassist Barry Knox is 41. Singer Sisqo is 40. Singer Chris Lane is 34. Actress Nikki Blonsky is 30.